For a blog established to examine the role of science in pharmacy practice, I’ve given a disproportionate amount of attention to homeopathy. Which is frustrating, because homeopathy is not something that pharmacists, or the pharmacy profession, should even need to discuss. Unlike herbal remedies, and some supplements, there isn’t even any science to discuss. As pseudoscience goes, homeopathy is the worst of the worst – it is a belief system, nothing more. If homeopathy actually worked as claimed, it would mean that all we know about biology, biochemistry, pharmacology, and toxicology was wrong. Not a little wrong, but completely wrong. Which would then mean that all we know about science-based medicine is wrong. In short, homeopathy is an elaborate placebo system, based on the idea that “like cures like” (which is simply a form of magical thinking) involving successive dilutions of products in water, like Berlin Wall, “Mobile Phone (900mHz)“, and even the light reflecting off Saturn. These substances are believed to have medicinal effects, and the dilutions are believed to increase, not decrease, the potency of the final product. But the dilutions in homeopathy are so great you’re not even getting any Berlin Wall. Think of putting one drop of a substance into a container of water. Only that container is 131 light-years in diameter. That’s the “30C” dilution. Homeopaths believe that the water molecules retains a “memory” of the original substance (while conveniently forgetting all the other products it has come in contact with.) The final remedy is diluted so so completely that most products on store shelves don’t contain a single molecule of the ingredient listed on the label. After all that dilution, the water is dripped on tablets of sucrose and lactose: They are, as a final product, sugar pills. Chemically indistinguishable, and as medicinal as a box of Smarties. A Respect party campaigner who died on the Bradford West by-election trail when his heart suddenly stopped had given up doctors’ orders of beta-blockers and turned to homeopathy instead, an inquest heard. Father-of-one Abu-Bakr Rauf collapsed on March 20 in the Mumtaz restaurant car park after a heated discussion with another party member. Bradford coroner Peter Straker yesterday recorded a narrative verdict that the 28-year-old died at Bradford Royal Infirmary despite every effort to save him. Why would a man with arrhythmia, diagnosed at age 9, willingly discontinue his medications? “He was told he should stay on them and many a time this was reinforced, but he and his family decided they did not want to do that. He was told about the risks, but they decided to rely on homeopathic medicine,” said Dr Khan in her statement that was read out. Only in a culture where homeopathy is given medical legitimacy would anyone ever rely on homeopathic products. And that’s just the case in the United Kingdom, where the largest pharmacy chains carry homeopathy. The Boots chain has gone so far to admit that they have no evidence homeopathy works – they offer it because people want it. Regrettably, this isn’t the only case of homeopathy leading to bad medical decisions. What’s the Harm? catalogs over 400 cases. One of the most horrific was that of infant Gloria Thomas in Australia who died of eczema (eczema! ), simply because her parents refused to use medication, and relied on homeopathy. Watch the video for the horrific details. Her father, a homeopath, and her mother, were eventually convicted of manslaughter. One of the most frightening and dangerous aspects of homeopathy are “homopathic nosodes” which are sugar pills based on dilutions of infectious pus, saliva, and diseased tissue. They are marketed as alternatives to vaccines. Sadly, Health Canada is complicit in this charade and actually registers these products as “remedies”, contradicting its own public health objectives. 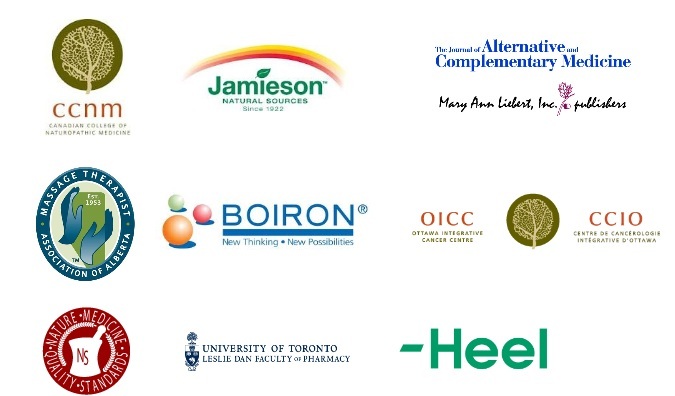 It’s nice to see Bad Science Watch, a new Canadian science advocacy organization, has publicly called on Health Canada to deregister these products. Regrettably, Health Canada has of yet taken no action, and seems content granting unique registration numbers to indistinguishable sugar pills. On a positive note, Health Canada seems to be an outlier among regulators, judging by recent American and British regulatory action. Let consider the implications here. Helios is willing to relabel their homeopathic products as candy. Which in a way is appropriate. Strip off the non-existent ingredient name from the label, and all you’re left with is indistinguishable pellets of sugar. I can confirm that the audit undertaken was on a targeted area of their business. I can assure you that this does not affect any of their products supplied to the UK market. Nelsons are currently engaged in addressing the concerns raised by and are providing all the information the FDA have requested in respect of their products sold in the US. So it seems that Boots Pharmacy believes that the Nelsons plant (which is located in England) complies with good manufacturing standards when it produces English goods. It seems that it’s only when the plant produces homeopathy destined for the USA that it implements shoddy manufacturing and quality control issues. A few weeks ago, I asked if pharmacy regulators “get” homeopathy. Now I’m starting to wonder if the problem starts with pharmacist education. The rest of the program is equally bad, and it has already been dissected and eviscerated by Orac over at Respectful Insolence. What an embarrassment to the University of Toronto, its pharmacy students and alumni (like me), and anyone that believes that the pharmacy profession should be grounded in science. Perhaps I can look forward to a future program at U of T in alchemy. Lest you wonder if the U of T-sponsored pharmacy program is an exception, there’s another continuing education program on CAM for pharmacists being offered this fall, also in Toronto. Called the Natural Health Products Symposium, it includes among its speakers homeopath Bryce Wylde, on the topic, “What pharmacists should know about the homeopathic remedies commonly sold in drugstores”. I like the topic, but I don’t think a homeopath will give pharmacists the scientific facts about homeopathy. But I can do so in a single sentence: You should know that they don’t work. Consider this scenario: How confident would you be if on your next flight, the pilot indicated that he’d replaced some of the airline’s parts with antique components that he admitted had failed testing, but he described his personal positive experiences with them. How would you feel about your upcoming flight, and in the pilot’s judgement? Or consider a scenario where you learn that Boeing’s engineers are being offered courses in “alternative” avionics, where physical laws and proper testing are being handwaved away with tales of anecdotal success and “different ways of evaluating effectiveness”? How would your opinion of Boeing change? Would you remain as confident flying in their planes? Probably not, as airline manufacturers live and die based on their safety standards. No avionics company ignores scientific evidence. Now think about pharmacists being offered courses in how to treat medical conditions by selling patients sugar pills. Does your opinion of pharmacists change? The intent of this blog is to advocate for the highest scientific standards for pharmacy practice. Given the lack of evidence, the risks to patients, and the questionable ethics of positioning sugar pills as medicinal, I’m baffled why the pharmacy profession refuses to take a stand against homeopathy. Is it indifference, or ignorance? Regardless of the reasons (and there may be more), pharmacy risks its professional reputation with its acceptance of homeopathy. By continuing to dabble in pseudoscience, pharmacists, and the pharmacy profession, jeopardize their reputations as credible health care providers. Image from flickr user AngelicxxFruitcake under a CC licence. Fascinating stuff, thank you. This maybe a naive question, but do UK pharmacists have an ethical code, in the same way as other heallth professions ? If so, how do they square this with marketing homeopathy ? You would imagine an ethical requirement to tell clients that the stuff doesn’t work! I believe you are being ignorant or selectively blind. Ignorant because you do not understand homeopathy and use the science as is known to you to evaluate it. Selectively blind as you do not state the adverse effects of the drugs developed under the known science to your readers to enable them make a logical assessment. Nearly 225,000 people have died in one year in the US alone due to iatrogenic diseases. Of these 140,000 has been exclusively due to adverse drug reactions. In addition, an equal number died during out patient management of Adverse Drug Reactions that cost the buyer a total of $ 79 billion in prescription bills in one year. There have been three million injuries due to medical interventions in a year with 44,000 to 98,000 deaths annually. Nosocomial infections alone caused 80,000 deaths in one year in hospitals. One hundred million people suffer from chronic debilitating illnesses partly due to medical interventions. (Barbara Starfield,JAMA 2000;284:483-485). This was follow up of a paper in the same journal by Lucien Leape of the Harvard Medical School (Errors in Medicine,1994,Vol 272; page 1851-1857). You have any data to show this has changed? So what you’re saying is, drugs can harm, therefore homeopathy works? To work, homeopathy does not require a crutch from any other medical method. The issue is the other way around. No homeopath writes on the mess that is the “scientific medical system”. Homeopathy works for many illnesses. The delivery method is not understood in line with present understanding of chemistry. But then Einstein is supposed to have said, ” God does not play dice with the world.” He was probably referring to the “probability model” of quantum physics. Was he wrong? Now we know he was. Who says homeopathy is a belief? It is people like you who have no clue and become medical experts after reading articles written by people none of whom is a doctor. “The pharmaceutical industry is now being called the biggest defrauder of the US government. A quick analysis of the penalties the industry has paid under the False Claims Act (FCA) reveals that it has overtaken even the defence industry. This is extraordinary because the arms sector had long been at the top of the list of defrauders. According to Public Citizen, a watchdog group, the pharma industry paid almost $ 20bn in penalties in the last two decades for violating the False Claims Act. More than half the fines — a whopping $10.5 bn — were paid by just four companies, GlaxoSmithKline, Pfizer, Eli Lilly and Schering-Plough. This year Glaxo is again in the news for paying fines of a few billion US$. I would suggest you Google Dr. David Eddy and check what he has to say about the evidences used by doctors (He invented the term evidence based medicine). Homeopathy is completely evidence based. To paraphrase Scott above, you’re saying that because some pharmaceutical companies have been fined for making false claims, therefore homeopathy works? This is a non sequitur too. ‘Pharmaceuticals’ are not “science” – they are just another profit-oriented industry. What sometimes passes for reports, are just clever marketing. Often the actual scientific studies go against pharmaceuticals. Iqbal above says: “To work, homeopathy does not require a crutch from any other medical method.” In fact, it has no foundations at all in any science as we know it. Claiming, as Iqbal does, that Einstein was wrong, is yet another non sequitur, Iqbal’s third: because Einstein was wrong, does not invalidate all the other sciences that homeopathy transgresses, nor provide any evidence for homeopathy. Iqbal then goes on to lay out his fourth non sequitur, about Dr. David Eddy and EBM. No, strike that: Iqbal asks us to Google Dr. Eddy. Why do ppurveyors of pseudoscience want skeptics to do there work for them? I say to Iqbal: it’s your case to prove; why don’t you state it. How does Dr. Eddy’s work prove that homeopathy works? Is there a science beyond what you know today? Einstein’s non acceptance of quantum theory was based upon his knowledge of physics. If a great physicist could be wrong about science, what are you? A lot of new scientific discoveries are still in the pipeline. What should be an evidence for a medicine? The homeopathic cures are termed as anecdotes, self healing illnesses, placebo effects etc. My extended family of 22 with a combined age of over 600 years has never used a conventional drug (other than mandatory vaccinations during childhood). So what keeps us alive when we fall ill? Too many anecdotes over too long period of time, or we manage to contract only self healing illnesses? Doctors like David Eddy state a simple fact- take off the colored glasses that paint everything other than the conventional medical system as useless as the conventional system is too weak to be a yard stick for measuring other systems. “Is there a science beyond what you know today? Einstein’s non acceptance of quantum theory was based upon his knowledge of physics. If a great physicist could be wrong about science, what are you?” You mistake how science works: Einstein wasn’t wrong about science. His hypothesis was proven wrong by still better science. Homeopathy has no scientific backing at all. And believing in something without evidence, hoping that at some point in the future it might be discovered, is believing in fairy tales and irrational. “other than mandatory vaccinations during childhood” Vaccinations are scientific medicine. Glad you you had them, so none of the 22 in your extended family suffered polio, measles, smallpox, etc. and are still with us, uninjured, on the earth today. “paint everything other than the conventional medical system as useless” This is once again faulty logic: a red herring. We do not think everything else is useless. We demand that it stand up to rigorous, scientific evaluation. Homeopathy has not stood up to this scrutiny; in fact it cannot. “the conventional system is too weak to be a yard stick for measuring other systems.” Once again, faulty logic: special pleading. The scientific method — itself continually improving — has proven its worth time and time again. It has resulted in the computers we are using to converse right now to the vaccinations that prevented your child diseases. There is no other way. Either you wish to prove homeoepathy using the method, or you stand outside society. Homeopathy has no scientific basis of the science that we seem to know today. And is that the last word? No new tenet left? This is a big misconception for those who do not understand homeopathy. Our maid servant’s daughter had small pox as did my brother. Both were treated with homeopathy. Both are alive and fine today except for some marks left behind. My son had measles after he was vaccinated for it. He was treated with homeopathic remedies. ……We demand that it stand up to rigorous, scientific evaluation. Homeopathy has not stood up to this scrutiny; in fact it cannot….. This is the basic argument when a medicine is to behave like a drug. Not the question why a drug should not behave as a medicine- a complete cure and not suppression of disease that requires the drug to be taken indefinitely, no adverse effects requiring recall, not creating a bigger problem (antibiotics). Which society? If data is something to go by, the society using alternative medicines is growing faster. Dr. David Eddy is not a skeptic. You have to read his contribution to medical science to understand this. “The problem is that we don’t know what we are doing,” says Dr. Eddy. Even today, with a high-tech health-care system that costs the nation $2 trillion a year, there is little or no evidence that many widely used treatments and procedures actually work better than various cheaper alternatives. This judgment pertains to a shocking number of conditions or diseases, from cardiovascular woes to back pain to prostate cancer. During his long and controversial career proving that the practice of medicine is more guesswork than science, Eddy has repeatedly punctured cherished physician myths. He showed, for instance, that the annual chest X-ray was worthless, over the objections of doctors who made money off the regular visit. He proved that doctors had little clue about the success rate of procedures such as surgery for enlarged prostates. Indeed, when he began taking on medicine’s sacred cows, Eddy liked to cite a figure that only 15% of what doctors did was backed by hard evidence. A great many doctors and health-care quality experts have come to endorse Eddy’s critique. And while there has been progress in recent years, most of these physicians say the portion of medicine that has been proven effective is still outrageously low — in the range of 20% to 25%. “We don’t have the evidence [that treatments work], and we are not investing very much in getting the evidence,” says Dr. Stephen C. Schoenbaum, executive vice-president of the Commonwealth Fund and former president of Harvard Pilgrim Health Care Inc.
My wife was just diagnosed with cancer. So she had an operation but it did not produce “clear margins” and this implies more surgery. So after my wife goes through weeks of painful recovery, the engineer in me gets to asks the Dr. why they didn’t just do one or two additional biopics instead since they knew where the lump was and bypass the potential for complications, expense pain? Dr. said it wouldn’t have helped. So now Dr. is talking about Chemo. So the pain-in-the-rear engineer in me asks the know-it-all Dr. another stupid question. If you couldn’t tell with an additional Biopsy, how will you know that the chemo is working? Dr., without blinking(I kid you not), said “you can’t”. To coin a phrase, sounds like the chemo folks are “legitimizing nonsense”. By the way, I heard (I hope this person was wrong) your buddies at q. watchers said there is no such thing as targeted chemo. Ah, maybe someone would like to have a sit down chat regarding Pet Scans and branch out from there! Or am I the only one who can add 2 + 2 ? I also seem to recall reading on your website that you can’t effect what’s going on in your blood through diet. Funny thing regarding my national brand pharmacy is that they have almost an entire shelf dedicated to helping diabetics control their blood sugar levels through, get this, diet. I know, I know, it must be some grand scheme by the folks at Glucerna to get rich off of poor ignorant diabetics. While some stuff on your website sounds legitimate, you sound more like a propaganda machine for Big Pharma. 900Mhz may indeed have a medicinal effect. Ever heard of resonate frequency and the treatment of cancer? Guess when it was discovered? 1930! So one needs to ask Big $ pharma why they waited so long to use an obvious treatment? Big $ perhaps? Resonate frequency medicine may well indeed put your local pharmacy out of business. After all, we can map the human genome. Next step is map resonate frequency of all known pathogens. The beauty of this is that you can not monopolize it. Wouldn’t it be too cool to be able to download and app that cures the common cold?